Saturday - Neil Armstrong, the first man to walk on the moon, dies aged 82. On that historical day, July 20th 1969; Armstrong, the commander of the Apollo 11 mission,became the first human to set foot on the moon. As he stepped on the dusty lunar surface, Armstrong said: "That's one small step for man, one giant leap for mankind." Those words endured as one of the best known quote in the English language. In Penang, my dad bought a black and white television to watch that historical moment. I was a student in Melbourne studying Illustrative Photography at the R.M.I.T. 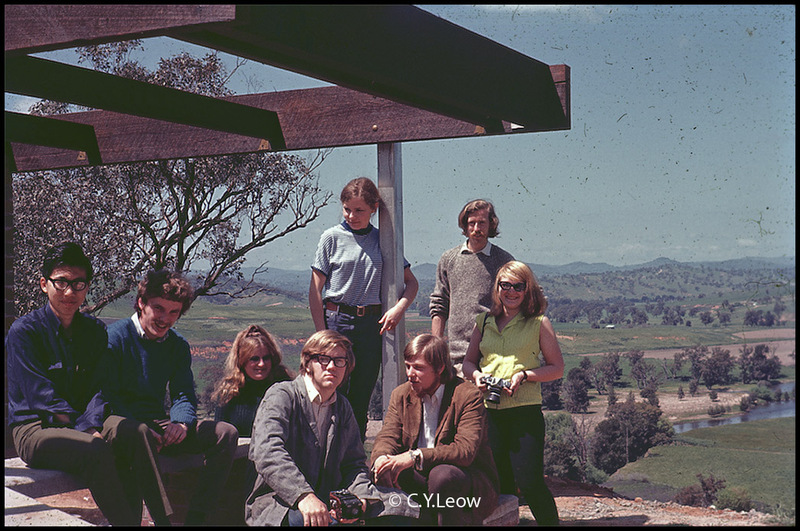 , later that year me and some of our class mates drove to Canberra and attended the HYPO Convention. Yours truly and world famous photographers to be posed for a group picture while on our way to the HYPO Convention in Canberra. 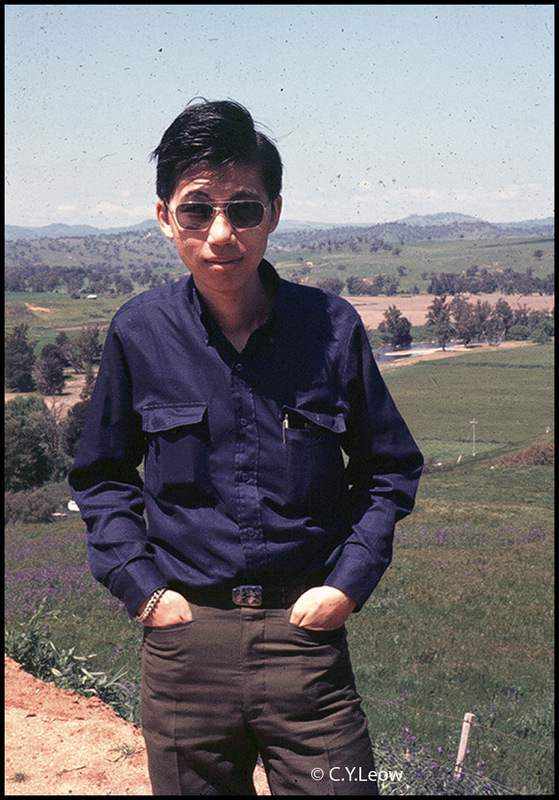 The 20 something photography student at some Australian country road. Young M.I.B. 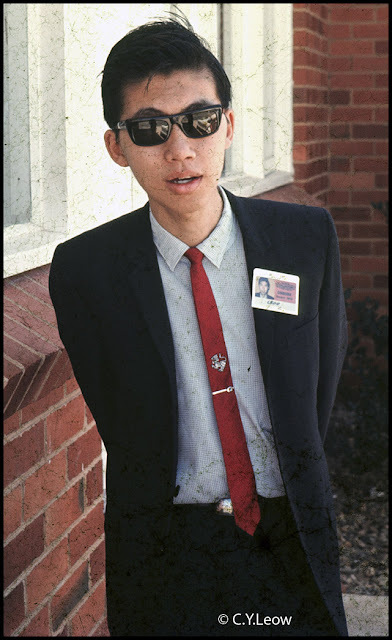 with the proper HYPO badge for the convention in Canberra. 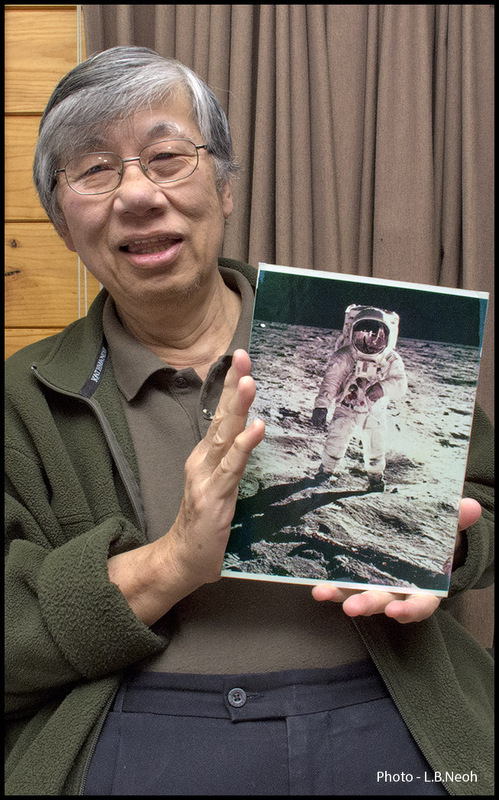 All the participants at the Canberra HYPO Convention were given a 8x10 colour print of the moon landing :) The photographic colour print has been produced by Group Color from an original transparency supplied by NASA! As you can see from the picture below, I STILL GOT THAT PRINT! This 43 year old colour print shows Apollo 11 U.S. astronaut Buzz Aldrin standing on the Moon, next to the Lunar Module "Eagle". It was taken by Neil Armstrong of NASA with a Hasselblad SWC camera. 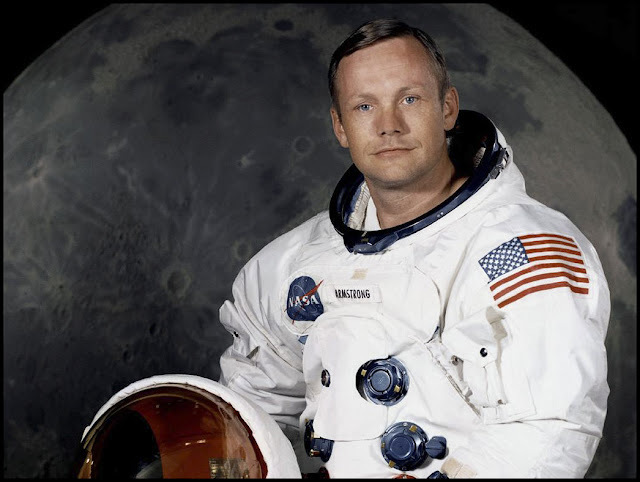 I was at high school school when Neil Armstrong walked on the moon. He shunned publicity and went on to live a normal life. 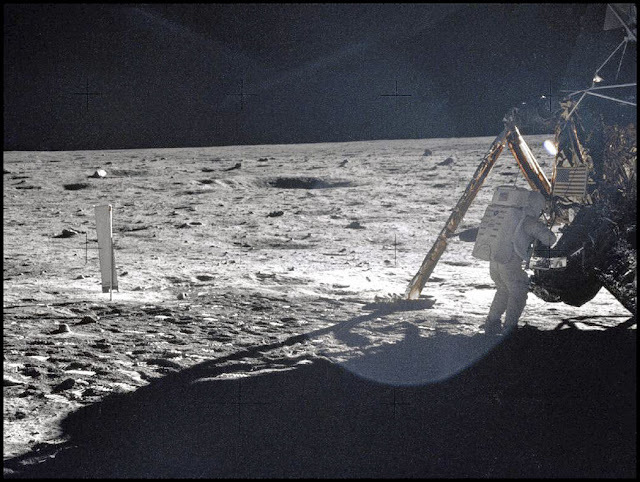 It seems now that it was really a moment far ahead of it`s time because in 1969 technology wasn`t tha advanced.There is some debate about what he actually said. 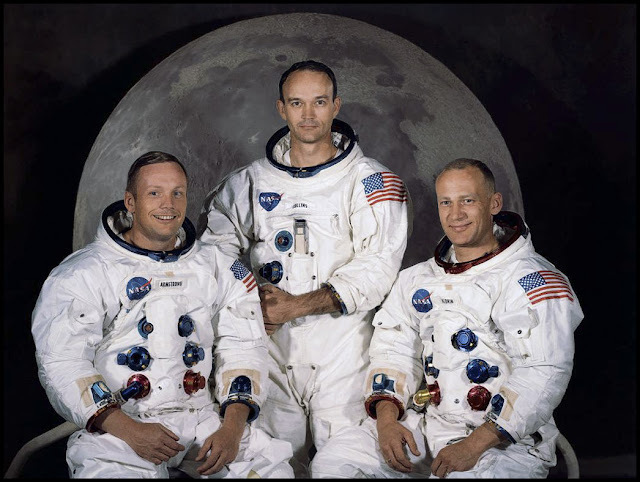 They are saying he said"That`s one small step for "A" man...". I still think it`s a great quote and a great moment in the history of mankind. By the way,who`s that skinny cool looking dude in the photo? The day he landed on the moon, my aunt told my mum," man has landed on the moon, no more offering and prayers needed on the 15th of the 8th lunar calender month. 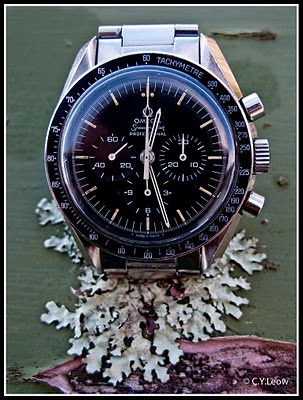 I've recently lost my 50th anniversary speedy and have been so depressed. I was just looking at pictures of them online and saw your blogg. Cool print of Buzz and I hope you still have your speedy :) .